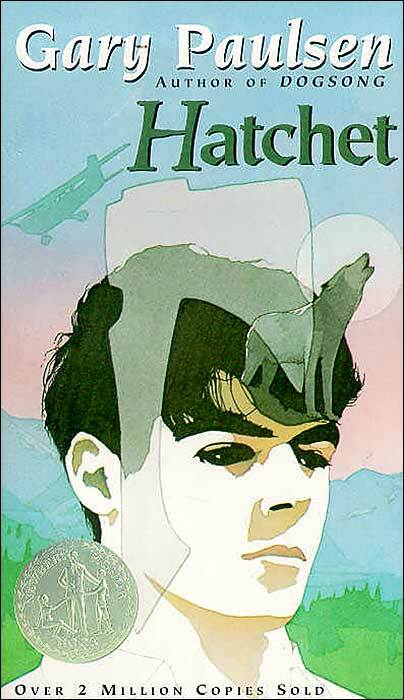 The other day I was sorting through some old books and stumbled upon a childhood favorite, Hatchet by Gary Paulsen. The last time I read it was nearly 15 years ago, so I decided to read it again for old times sake. For those of you who haven’t read Hatchet, the basic plot is this: A teenage city boy named Brian Robeson crashes in the middle of the Canadian wilderness while flying in a bush plane. The pilot dies, and the boy lives. All alone in the wilderness, Brian must learn how to survive in the wild for 54 days with nothing but a hatchet. I discovered a few things while re-reading Hatchet. First, the story is just as good and entertaining as it was when I was 12 years old. It’s truly one of the best books for boys. Second, Hatchet is a super quick read. You can finish the book in one sitting if you want. I definitely recommend reading it this weekend. It beats surfing the web mindlessly. Finally, while Hatchet is a work of fiction and wasn’t written as a how-to survival guide, we can learn a lot from Brian Robeson on how to stay alive in the wilderness. Gary Paulsen tested everything he had Brian do himself, to make sure the story was authentic. As a boy I made mental notes of what Brian did to survive; every boy secretly dreams and wonders about whether he’d be up for such a challenge. I couldn’t help taking away some lessons this time around, too. Here are 10 wilderness survival skills that a man of any age can glean from Hatchet. It kept coming back to that. He had nothing. Well, almost nothing. As a matter of fact, he thought, I don’t know what I’ve got or haven’t got. Maybe I should try and figure out just how I stand. Everything you have on your person is a potential survival tool. When Brian did his inventory, he had a torn parka, shoes, his trusty hatchet, a $20 bill, a pair of jeans, and a t-shirt. Not much. But with some creativity and ingenuity, he used a shoelace to fashion a bow and arrow and the $20 bill and hatchet to start a fire without matches. Follow Brian’s lead. Take advantage of everything you have. Brian had once had an English teacher, a guy named Perpich, who was always talking about being positive, thinking positive, staying on top of things… Brian thought of him now- wondered how to stay positive and stay on top of things. Maintaining a positive attitude is perhaps the hardest and most important wilderness survival skill to develop. Studies have shown that when people adopt a positive attitude “their thinking is more creative, integrative, flexible, and open to information.” Moreover, positive people tend to bounce back more quickly from physical sickness and injuries than people with negative attitudes. These two traits- creativity and physical resiliency- are essential to survival. He did not know how long it took, but later he looked back on this time crying in the corner of the dark cave and thought of it as when he learned the most important rule of survival, which was that feeling sorry for yourself didn’t work… When he sat alone in the darkness and cried and was done, all done with it, nothing had changed. His leg still hurt, it was still dark, he was still alone and the self-pity had accomplished nothing. In a previous article, we discussed the fact that resilient men have an internal locus of control. They’re the masters of their own destiny and tend to handle stress well. Those with an external locus of control curl up into a ball and cry big crocodile tears about how bad they have it. Which man do you think is going to survive when their back’s to the wall? While you should maintain a positive attitude while lost in the wild, you don’t want to delude yourself into thinking that things are better than they really are. First, you only set yourself up for disappointment when things don’t go your way, and second, maintaining a realistic outlook will keep you from getting complacent. You always need to be planning and working as though you’re in your situation for the long haul. In short, hope for the best, but plan for the worst. With his mind opened and thoughts happening it all tried to come in with a rush, all of what had occurred and he could not take it. The whole thing turned into a confused jumble that made no sense. So he fought it down and tried to take one thing at a time. A key to Brian’s survival was that he did something that wilderness survival experts recommend without even knowing he was doing it. He frequently S.T.O.P-ed: Stop, Think, Observe, Plan. Throughout the story we’ll find Brian frantically attempting to complete a task. For example, when he tried to make a fire for the first time, he rushed the whole process and kept coming up empty. Frustrated, he stopped and deliberately thought about what was needed to start a fire. After observing that he didn’t have adequate oxygen or air for combustion, he made a plan to blow on the sparks when they landed in the tinder. And just like that he had fire. The key to surviving in the wilderness is keeping yourself from panicking. Sometimes the best thing you can do in a survival situation is to do nothing and just think. You’ll save yourself a lot of wasted effort. In the wild, small mistakes can kill. If you break your leg in suburbia, you’ll just have to prop your foot up on a pillow for a few days and hobble around on crutches. An inconvenience, but you’ll get by. Now, break that leg in the middle of nowhere and you have a world of problems. You won’t be able to walk, which means you won’t be able to hunt. If you can’t hunt, you can’t eat. If you don’t eat, you die. All because of a stupid broken leg. There were a few moments in the book where Brian made some small mistakes that could have created huge setbacks. Eating and puking the “gut berries,” not adequately protecting his shelter which allowed a porcupine to inject a couple dozen quills into his leg, and getting sprayed in the face by a skunk. Many of these mistakes could have been avoided if he was simply more careful. Granted, completely avoiding mistakes isn’t possible, but you should limit them as much as you can. Taking the time to S.T.O.P can definitely prevent most blunders. Staying constantly vigilant will help, too. Be aware of your surroundings. You never know if you’ll end up face to face with an angry mother bear or a raging bull moose. The hatchet. That tool literally saved young Brian Robeson’s life. With it, he made a fire that offered warmth and protection at night and created spears and arrows he used to hunt for food. If he didn’t have that hatchet, Brian would have been bug food in just a few days. Any cutting tool would come in handy out in the wild. Even a lowly pocket knife. But if I were out in the wild, I would want a quality multi-tool like a Leatherman. I own one and they’ve come in real handy during my outdoor excursions. However, a new multi-tool has recently caught my eye, and I’ve put it on my wish list. The Atax puts Brian’s hatchet to shame. This thing does it all. It’s an ax, a skinner, a hammer, a wrench, a compass, and get this, an arrow launcher. Put this in the hands of a crafty, able-bodied man, and he’ll not only survive the wild, he’ll conquer it. It was water. But he did not know if he could drink it. Nobody ever told him if you could or could not drink lakes. People often underestimate the importance of water in a survival situation. Your body can still function with little or no food for weeks, but go without water for a few days and you die. Water isn’t hard to find. It’s everywhere (well, except for deserts). The problem is finding clean water. Lucky for Brian he crashed in the middle of the Canadian wilderness right next to a clear, pristine lake. He could dunk his head right into the water, drink it, and not get sick. You’ll probably not be as fortunate. Most wilderness survival experts recommend boiling water before drinking it to kill any harmful pathogens. This technique, of course, assumes you have a pot on hand. If you don’t have a pot, several techniques exist to procure drinking water like collecting rain or creating a water still. It’s also possible to create filtering systems with things you have on hand, like a t-shirt. Protect food and have a good shelter. Not just a shelter to keep the wind and rain out, but a shelter to protect, a shelter to make him safe. After finding water, finding shelter to protect you from the elements should be your next priority. Take advantage of your surroundings when creating a shelter. Rock overhangs make excellent shelters. That’s what Brian used. If you don’t have a rock overhang nearby, you’ll need to use materials like limbs, leaves, and pine boughs to make a shelter. A lean-to is an easy and popular wilderness survival shelter. Other shelter designs exist and each one has their pros and cons. He had learned the most important thing, the truly vital knowledge that drives all creatures in the forest- food is all. Food was simply everything. All things in the woods, from insects to fish to bears, were always, always looking for food- it was the great single driving influence in nature. Most of the book describes Brian’s attempts to procure food. He spent the bulk of his time scavenging for something to eat. He starts off gorging on a strange berry that makes him puke. After that, he discovers raspberries growing in the wild and adds them to his menu. But man can not survive on fruit alone. Brian’s body needed protein to give him strength. He found his first dose of protein in the form of raw turtle eggs. They were hard to keep down at first, but he forced himself to drink the nourishing substance. Soon he added fish and birds to his diet. You can prepare to feed yourself in the wild now by becoming familiar with edible plants, berries, and roots. Moreover, learn how to create rudimentary traps to capture small game. He swung harder, held the hatchet so it would hit a longer, sliding blow, and the black rock exploded in fire… There could be fire here, he thought. I will have a fire here, he thought, and struck again- I will have fire from the hatchet. When you’re in a wilderness survival situation, don’t count on matches. Even if you have them, windy and wet situations will render them virtually useless. Thus, it’s essential that a man know how to start a fire without matches. Brian got his fire going by striking his metal hatchet blade against the quartzite in his shelter. You should try learning several methods so you’re prepared for any situation. In addition to knowing how to start a fire, you should also know how to build a campfire appropriate for your different needs. While he was working he decided to have the fire ready and if he heard an engine, or even thought he heard a plane, he would run up with a burning limb and set off the signal fire. In the wild, surviving is your top priority. Your second priority should be to get the hell out of there and back to safety and QuickTrips. Fire works as a great signal. Brian prepared a fire lay that he could light quickly as soon as he heard a plane. A reflection mirror is another great option. While you can purchase a special signal mirror, any shiny, metallic object could work in a pinch. You can also create search signals by using rocks which contrast with the ground’s color to spell out “SOS” or “HELP.” The letters you create should be at least 3 meters tall in order for pilots to see them from the air.